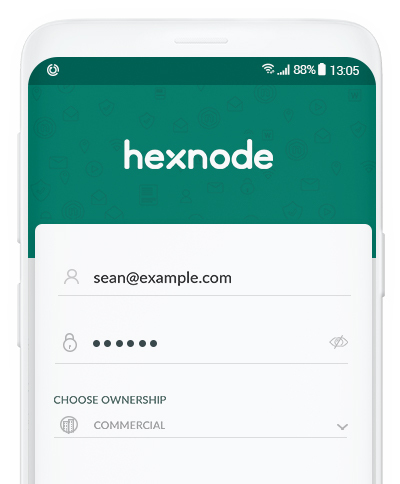 Hexnode MDM simplifies large-scale deployment of iOS devices through seamless integration with Apple DEP. You can pre-configure device settings, enable policy restrictions, turn on supervision, all without ever having to touch a device. 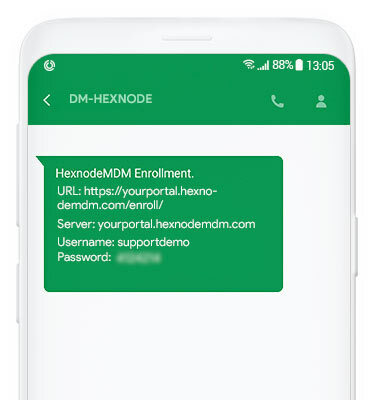 With the introduction of Hexnode MDM's support for Google's Android Zero touch enrollment, organizations can seamlessly provision, manage and rollout corporate-owned devices in bulk without having to set up each device manually. Preconfigure devices with the EMM configurations and settings before shipping and make them enterprise ready so that when the employees receive them, they're ready to use out of the box. Enrolling Samsung devices just got easier! Streamline the initial set up and enrollment of corporate owned devices with Knox Mobile Enrollment, the quickest way to enroll your fleet of devices. With Knox Enrollment, the organization purchases devices and the IT admin loads the MDM configuration to KME and assigns it to devices before they're shipped to end users. Users simply need to power on their devices and connect to a network and the devices will be enrolled automatically to the EMM. Even if the device is factory reset, the EMM software will be re-installed and the device will be re-enrolled. 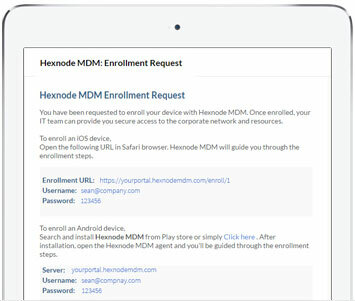 Enjoy faster on-boarding experience with Hexnode MDM! This quick enrollment method lets users to scan a QR code and enroll their device without entering the server name, username or password. 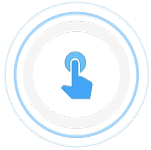 Users can enroll their devices without entering their email or password when no authentication enrollment is enabled. The main highlight of this method is that, the admin does not have to send enrollment mails to anyone. Only the server URL is required for enrollment. Local (Non-AD) users are sent a one-time-password (OTP) along with the enrollment request. At the enrollment portal, users are required to enter the OTP for validation. Either way, you can be rest assured only legitimate users are enrolled. The enrollment request can be sent to the user’s device as an SMS message. The users don’t necessarily need to check the email for enrolling their device. To enable SMS enrollment, an SMS vendor has to be configured first. Enrollment Requests can be send out exclusively to a specific domain, OU, users group or even individual users. AD authentication during enrollment ensures only genuine users can join.You may even choose not to send out the enrollment requests at all. Just enable the self enroll feature, users can visit the enrollment portal directly and start registering their devices. Users will be authenticated against their AD credentials. Self enrollment can also be selectively enabled for specific domains. 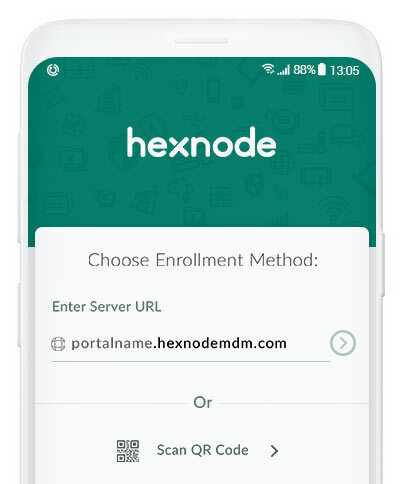 Similarly, ROM based enrollment for Android, where a customized ROM with Hexnode MDM configured as a system app enrolls and apply all the configurations automatically upon initial device start up. Pre-configuring everything ensures there are no initial setup steps when the devices are turned on. Users can literally enjoy out of the box use. The Apple Configurator which is used to add configuration profiles to an iOS device can also be used to associate an MDM profile. Here, the device has to be plugged into a Mac to associate the MDM profile but the rest of the management can be done over the air. 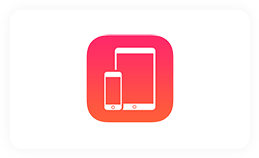 In all fairness, users only need to turn to Apple Configurator for supervising their iOS devices when they do not have a DEP account.